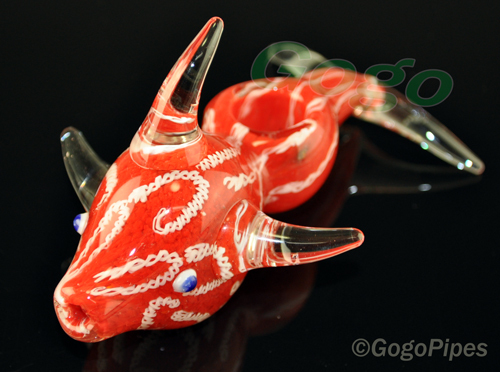 This A4 glass dolphin hand blown animal pipe is about�5 inch long. Great inside out glass pipe. Cons: The fin on top sticks out so long when I go to clear it by hitting it on my hand I hit the fin and it hurts! Pros: huge chunk of glass for the money! excellent design. Cons: mother-n-law and granny keep trying to steal it. Comments: i think i'll get one more and hide it! Pros: Great heavy weight quality product. Shop with confidence from protected online store. Fast and secure shipping everyday on all orders.